The smooth Champagne design of the Mark V mirror makes it well suited for any location and decor. 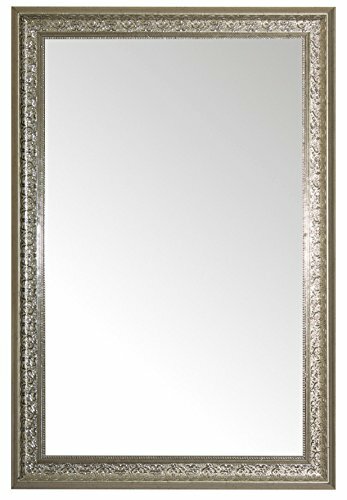 The 2.5" Champagne frame will give this mirror a defining look on your wall. This mirror coordinates well with any style of decor and it can easily fit in any room of your house providing a functional purpose while making the room appear larger. It comes with hooks allowing for vertical or horizontal hanging. If you have any questions about this product by Alpine Art & Mirror, contact us by completing and submitting the form below. If you are looking for a specif part number, please include it with your message.